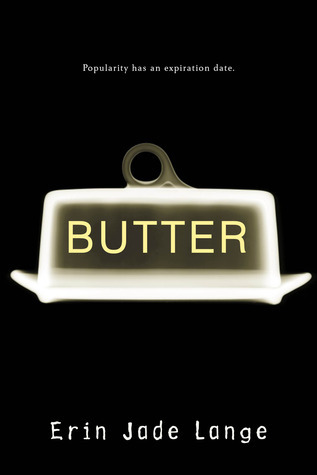 Butter by Erin Jade Lange – Butter is an issue book that’s entertaining as well as thought-provoking. It’s a unique story with a compelling concept (lonely, obese teen promises to eat himself to death online, gaining instant popularity), and I read it feeling like one of the voyeuristic students at Butter’s high school: I was morbidly curious as to whether he’d actually carry out his threat. Erin Jade Lange writes in a clear, easy-to-read style, and she gives Butter plenty of conflict. She wrapped her debut up in a way that left me satisfied, yet hopeful. 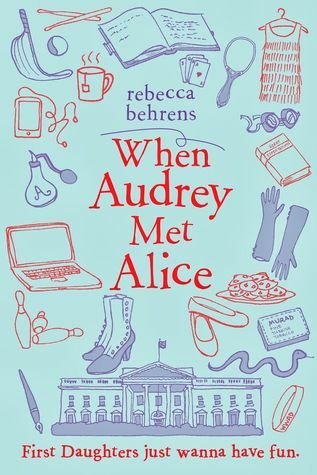 When Audrey Met Alice by Rebecca Behrens – So much more than the lighthearted shenanigans-in-the-White-House book I was expecting! Rebecca Behrens does an incredible job of bouncing between two distinct voices: fictional Audrey’s inquisitive, finding-her-place teen voice, and Alice Roosevelt’s more formal (and snarkier! ), almost-a-lady voice. Audrey and Alice face similar challenges, and both act out in ways that feel real and warranted. I particularly love how Audrey turns to Alice’s diary when she feels exceptionally forlorn. The reverence she feels for untamable Alice is awesome. (As is the super sweet romantic subplot!) My full Bookanista recommendation is HERE. These Broken Stars by Amie Kaufman and Meagan Spooner – This novel is epic and rich and glorious. It wasn’t at all what I expected, especially since I’ve read in several different reviews that it’s like Titanic on a spaceship. Not much of the novel takes place on a spaceship, actually. In fact, almost all of it takes place on a strange alien planet, and the story is all about survival and acceptance and sacrifice and love, and there’s this chilling mystery running beneath everything else, and it’s just… awesome. Also, Tarver. ♥ Clearly I’m partial to soldiers, but oh my gosh. He is just so full of swoon. I loved this one! Tampa by Alissa Nutting – While most of the scenes in this adult novel were so graphic and disturbing I wish I could unread them, I have to admit… I found this story riveting. Protagonist Celeste describes herself as a soulless pervert, and that’s an understatement. She preys on teenages boys, lies compulsively, lacks any sense of moral responsibility, and has no concern for the ramifications of her actions — except as they might impact her getting what she wants. She’s utterly unsympathetic, but it was fascinating to be in her head. Tampa touches on a lot of big issues: sexual predators in positions of authority, minor victims and gender assumptions/bias, and the shades of gray in guilty vs. not guilty verdicts. It was a difficult book to put down, and nearly impossible to recover from. Charm & Strange by Stephanie Kuehn – This isn’t a book I normally would have picked up because there’s much talk of wolves in the summary, but it is so, so good, guys. The plotting — WOW. And the writing… it’s beautiful. The entire story is visceral and haunting, one of those where you’re never quite sure what’s real and what’s not. Stephanie did a masterful job incorporating symbolism and metaphors, so much so that I’m already looking forward to rereading this novel so I can pick up all the hints and clues I missed on my first read. 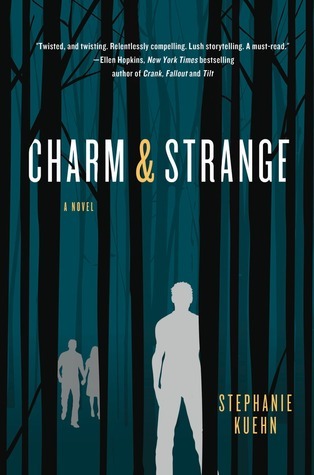 The other day Charm & Strange was named the William C. Morris YA Debut Award winner – well deserved! Such an exceptional book. What’s the best book you read in January? I just got THESE BROKEN STARS and I’m debating whether to dive right in or to keep it as a treat for when I finished this edit. It’s sounds amazing and I’ve been dying to read it. I also really like the sounds of CHARM & STRANGE. My favourite book this month was definitely 84 CHARING CROSS ROAD. 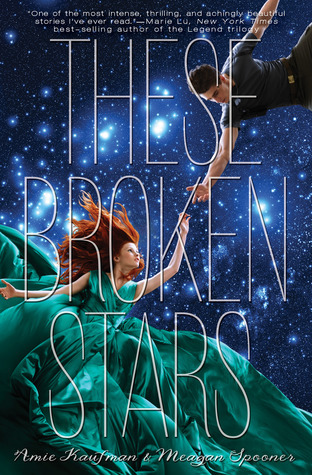 I have a feeling that once you start THESE BROKEN STARS, you won’t want to put it down — it’s amazing! And I highly recommend CHARM & STRANGE as well. That book blew my mind in the best possible way. Have a great weekend, Alexa! Rereading a novel? Wow, that’s high praise because I know you’ve mentioned before that you don’t often reread books. I’ll definitely have to check out CHARM & STRANGE. I loved Tarver too. I’m eager to see where his and Lilac’s story goes next. Mostly I just want to spend more time with Tarver, though. 😉 And, of course, I’m going to have to get my hands on Rebecca’s book ASAP. I’ve been waiting on that one forever! I very rarely reread books. Even when there’s a sequel coming out and I can’t remember anything about the first book, I still don’t reread. I get bored. But there are so many amazing instances of symbolism and clue-dropping in CHARM & STRANGE, I’m very tempted to go back and see what I missed. I hope you get to read it (and Rebecca’s book!) soon, Jaime! CHARM & STRANGE was excellent. Last year, I attended an author talk where Stephanie Kuehn presented. In January, I read GONE GIRL by Gillian Flynn (now I can’t wait for the movie! ), UNTIL IT HURTS TO STOP by Jennifer Hubbard ,and now I’m finishing up BORN WICKED by Jessica Spotswood. All great books. I adored GONE GIRL and BORN WICKED. I haven’t read UNTIL IT HURTS TO STOP yet, but the title alone intrigues me. Looking forward to checking it out! Oh man, i want to read ALL of these! I’ve heard that REALITY BOY is amazing. I really liked ASK THE PASSENGERS and I’m looking forward to reading more from A.S. King. Her stories are so unique and cool. I hadn’t heard of THE REAL BOY, but I’ll most definitely look it up. Thanks, Sarah!